Below are some frequently asked questions about purchasing a memorial. We have attempted to address some important information about the cost of a headstone, delivery, and installation. Each cemetery has their own set of regulations for the headstones. Be sure to inquire with your place of burial. How long will it take to create a memorial? The time frame for completion of your memorial will vary depending on the availability of granite, the customization of the memorial, photos, and the number of drawings done for approval. For a standard design on a memorial we have in stock, we can complete engraving in 4-6 weeks, (shipping time not included). How much does an average memorial cost? The type of material used, the size and shape of the memorial, the detail of the design and how many sides are finished can influence the cost. The shape of a memorial can be standard or customized. The range is from about $300 to over $10,000. Standard upright monuments average around $2500 to $7500. It is possible to have a picture on the memorial? This is a good question to ask the cemetery where the memorial will be placed. Inquire if they allow photos on memorials? If it is allowed, we have several types of picture options available for your memorial. We can help you decide which type will work best for the memorial you would like. Do you engrave with non-english letters? Yes, we can carve the memorials with non-English letters. We have the fonts for Hebrew, Russian, Greek, Vietnamese, and Korean letters. When the family gives the lettering to us, we can also carve Chinese and Japanese - to name a few. If I buy a companion stone now, how can my name be engraved on it later? Most cemeteries and local monument companies add final dates on a regular basis for a nominal charge. Do you offer Pet Memorials? Yes, we have several types of pet memorials available. Visit our PET MEMORIALS shop to learn more. 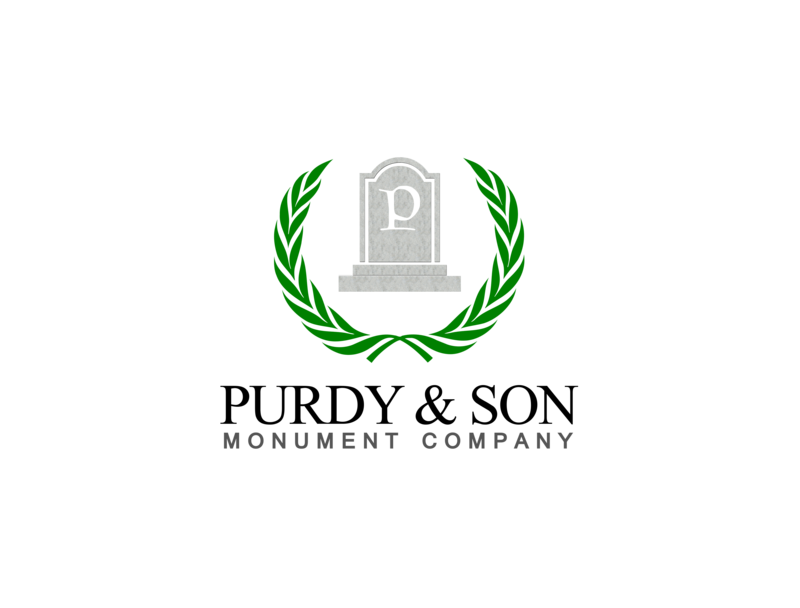 Search our single headstones, companion headstones, civic memorials, cremation memorials, monubenches, foot markers, statues and more . . .
© 2018 Copyright by Invoke-Media Group. All rights reserved.